Imad al-Din al-Saftawi waited 18 years before he could give a doll to his daughter. Yet Imad did not make it home from his trip. When he arrived at the Rafah crossing which separates Egypt from Gaza, he was arrested by Israel’s occupation forces. 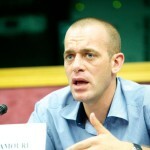 It was not until November this year that Imad was informed he would be released from Ashkelon Prison – located inside Israel – within a month. Before he was freed, Imad was handed a bag containing items confiscated from him in 2000. Among them were a mobile phone, an embroidered picture and the doll. Now aged 20, Sarah only saw her dad twice during his imprisonment. She was blocked from visiting him by Israel. In 2007, for example, she went to see him, along with her grandmother. But the Israeli authorities refused to allow Sarah to go inside the prison, claiming there was a mistake in the documents required for the visit. Sarah had feared she would never meet her father again. His return to Gaza in December was a major celebration for many of its inhabitants but, most of all, for his family. 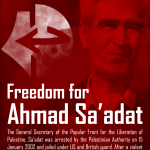 Israel had previously jailed Imad over his activities prior to the first intifada. 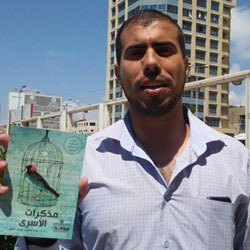 Imad escaped from Gaza Central Prison in 1987 to Egypt and then fled to Syria. He worked from Syria in Islamic Jihad’s political bureau before returning to Gaza in 1995 and becoming an employee of the Palestinian Authority. His PA work brought him to Saudi Arabia, as he was involved in arranging pilgrimages to Mecca. He also set up an organization for Palestinian youth; the main purpose of his Dubai visit in 2000 was to seek financial support for that group. 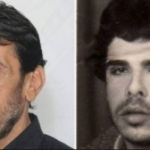 Imad’s family has stated that he did not take part in any armed activities after coming back to Gaza in 1995. 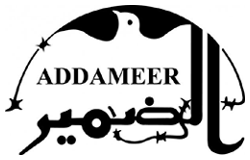 Following his arrest in 2000, Emad was denied access to a lawyer and held in solitary confinement for lengthy periods. Violating the Oslo accords, Israel reactivated charges related to Imad’s alleged activities during the first intifada in Syria. He was sentenced to 18 years of imprisonment. Imad’s wife, Saadia al-Hourani, was pregnant at the time of his arrest in 2000. She subsequently gave birth to another girl, who was named Leen. Leen recalled meeting her dad in prison during a 2013 visit. The last time she visited her dad was in the winter of 2016. On that occasion, she gave him a bracelet as a gift. Seeing this, an Israeli prison officer shouted at her father and instructed him to hand it back. Imad’s sons have also encountered great difficulties visiting him. Due to the limited opportunities in besieged Gaza – where youth unemployment now exceeds 70 percent – three of his sons have emigrated: Hamza, 28, lives in Turkey, Jehad, 27, in the US and Assad, 24, in Spain. Imad’s sons have not yet seen him since his release. The experience of the al-Saftawi family is not unusual. 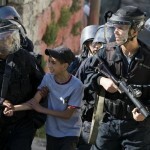 More than 5,500 Palestinians are being held in Israeli jails, according to the latest data. Among them are many parents whose children have to grow up in their absence.